After this lecture, mains result came out, so Ms.Rajtanil won’t be conducting any more sessions till her own UPSC interview is over. So, geography series is suspended from this point, till further developments. 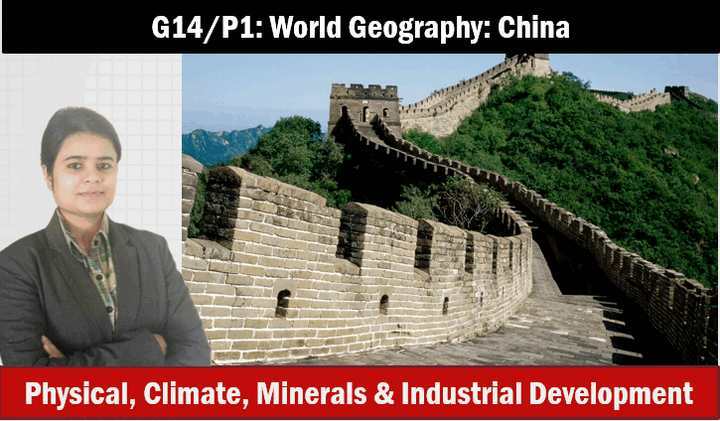 10th April 2015, Lecture on World Geography- Russia, China, Japan and South East Asia. Split into four parts. Mineral wealth of China: Coal, iron ore, petroleum and Tin reserve. 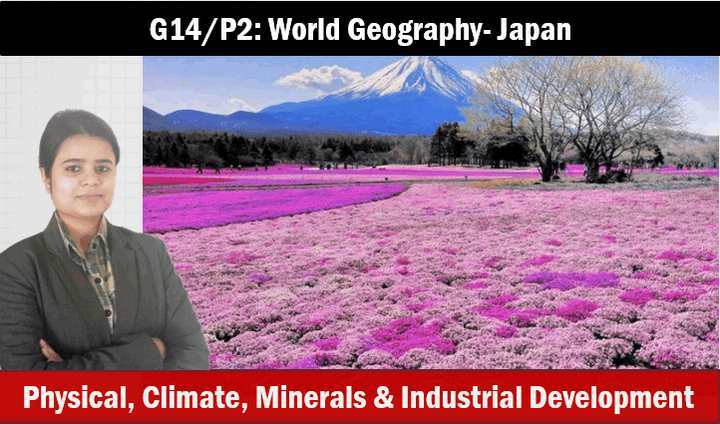 Japan: Islands of Japan, Physical geography, climate, agriculture and indoor farming. Fishery in Japan- why flourishing? Whaling problem and international opposition. Verdict of International court of justice on Japanese whaling prog. Mineral reserves in Japan: coal, petroleum, iron ore, copper reserves. Seas around Russia, important ports of Russia. 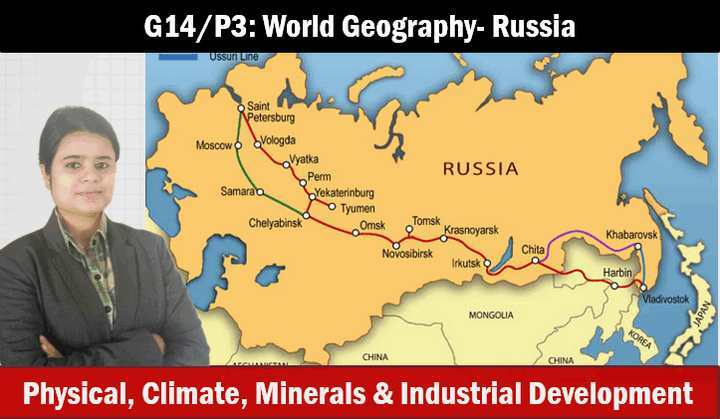 Mineral resources of Russia: Minerals in Urals and Siberia, Coal, Iron ore, Nickel. Energy resources of Russia: petroleum and natural gas. Trans-Siberian railway and its route. Thailand: Physical geography, and Korat plateau. 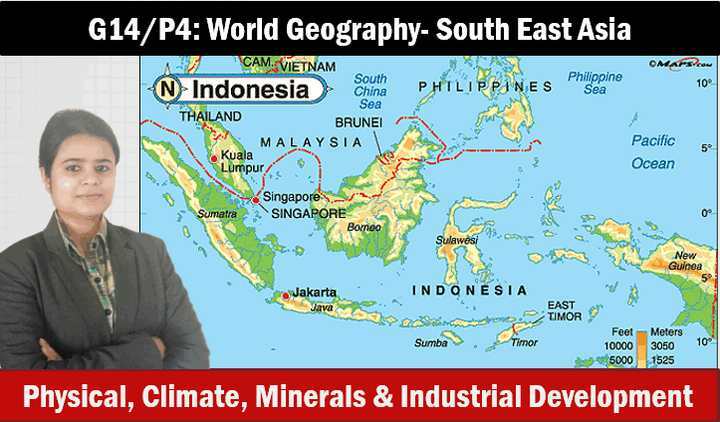 Mineral, coal and tin reserves of SE Asia. Oil and Gas reserves of Myanmar, Indonesia, Malaysia, Vietnam, Brunei. Mam, when this syllabus is likely to finish? Can anyone tellme which book is discover geography? ?I can’t find it online.